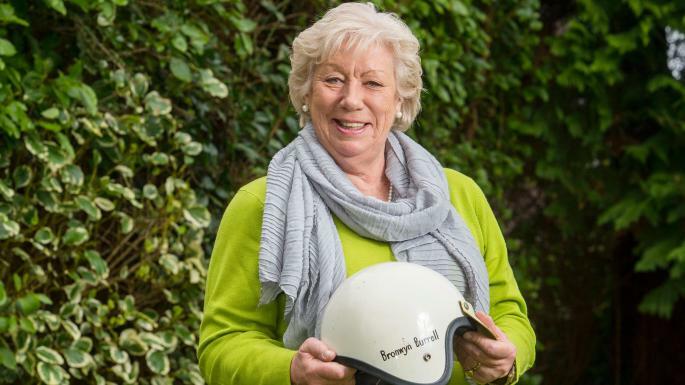 Bronwyn Burrell made her name as a rally driver nearly five decades ago but gave up her motor sport career at the age of 27— only to return to competing last year. Burrell, who is adopted, grew up in New Zealand before moving to the UK as an 11-year-old to go to boarding school. She took up rally driving as a teenager and began competing in the 1960s. During her twenties, the driver and pin-up — she was once crowned Miss Castrol — brushed shoulders with royalty and celebrities. The Formula One champion Jim Clark taught her to race around the Brands Hatch circuit in Kent. Their car, nicknamed “Puff the Magic Wagon”, made it through jungles, deserts and mountains — before finally giving up the ghost in Argentina. Two years after the race, her mother’s death prompted Burrell to give up rally driving and return, briefly, to New Zealand. When she came back to the UK, she began work as an interior landscaper — providing greenery for inside buildings — eventually running her own business called Decorfolia. Well into her retirement, however, Burrell got back behind the wheel in 2013, reuniting with her old racing partner Tina Kerridge-Reynolds, 78, who had tracked down their old Maxi. After restoring Puff the Magic Wagon, the pair began competing again. Last year they raced from London to Lisbon, finishing third in their class. They also took part in the Three Legs of Mann Classic Rally on the Isle of Man. Fame and Fortune - The Sunday Times.